I recently published Make an eBook: Creating PDF and 3D Cover where we saw the ways by which we could bring our beloved eBook to the real world in the PDF format and giving it a physical look through a 3D ebook cover. Making out a 3D cover image of our eBook can really shoot up its downloads as many people feel like getting something of the real world. Image is better than thousand words, remember? There was no use mentioned in the previous post regarding our 3D image that we made as that is the part of our today's post. This being the final post in the series of eBook creation, ill try to wrap up the subject, making it a final call of motion. So now we have written our eBook well, keeping formatting and other decorative issues in mind, exported it as a PDF with desired settings and finally built its 3D cover. Now what? Its time to make up an email delivery system, where by we would see the process creating an opt in form (for email download) on our sidebar, that would help users to download the eBook once they have provided their email address. 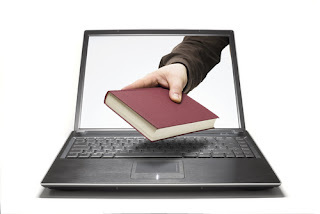 You wont have to bother about sending the eBook to every individual. Ok so here we'll be taking help from an auto responder service. The best ones out there (used by top probloggers) are aWeber or iContact. They have there own pros and cons but we'll not be getting into that one for now. For the sake of this post, ill be giving out examples of aWeber auto responder service but generally its the same procedure for iContact too. In the button for Webforms, you get to see many great email opt in forms. You wont be needing any coding capabilities while using the service as the forms are drag and drop enabled. So that's how you would get your email opt in form. 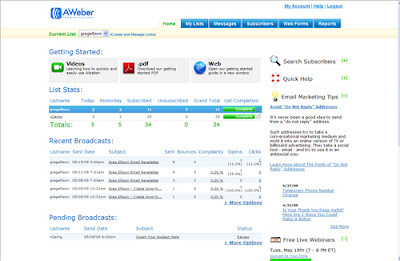 Though you can get any third party email opt in form and later link it to aWeber auto responder. There would be an option for 'Follow up' messages that you can set for the email delivery system. What this basically do is that you can set a list of follow up messages with time intervals of your choice. To summarize, follow up messages are those emails that the subscriber would get (after the set interval) after the opt in. So in our case, we would set the follow up messages as our download page with 0 time interval. Got the point? So for Blogger users, you can simply make out a new post naming it 'eBook download page' (or any thing that you like). WordPress users can make out a new page. This page can also be referred as Thanks page as you would appreciate the subscriber's move to subscribe. Give out a link to your eBook download. For that, upload your eBook somewhere online. You may use a free service Free-eBooks . Get the download link and mention that in the Thanks (download) page that you have created. So now you have your own download page, you need to make sure that it isn't listed on Google search result so that people would not access that Download page directly. You need to get them through that email opt in channel. Remove a Page from Google Search Results? Add the following code to your 'page' Edit HTML option. (not your blog's!). This way, that particular download page wont be indexed by search engines. Now that you have your download page ready, simply add the download page link in the auto responder email that you would send to the subscriber once he gives his email address in the opt in form on your sidebar. This responding email would be set up in your aWeber follow up messages option as mentioned before. The subscriber would get that email thanking him to subscribe. The download page link would then take him to the eBook download page where he would get the PDF form. Thats it! This is basically the entire idea of the auto responder email delivery system that you can create with the help of any autoresponder service online. Again the best ones out there are aWeber or iContact. Many use Mail Chimp too but they have hell lot of complains too. I hope this entire eBook series was usefull and would motivated you to build your first ever eBook and get started in attracting more email subscribers. They say: 'Money is in the list'! Very informative post and very well writting. Thanks bro,i have a lot of question to ask,infact i want you to hold my hands for a week or two for me to put an ebook into the market please. 1.where should we put the nofollow code? 2.what if am selling my ebooks how do i do it?